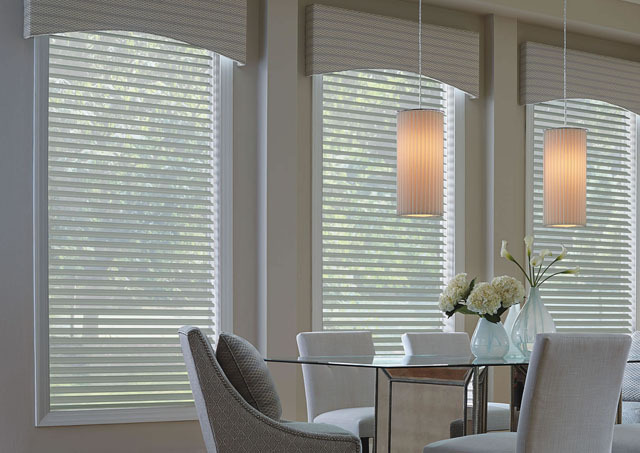 Complement your design with a custom crowning touch provided by Express Blinds beautiful selection of top treatments. With an elegant array of contoured cornices, scalloped or pleated valances, and swags and cascades, top treatments can enhance any window treatment-or stand on their own as a décor statement. Better yet, our top treatments produced by our Knoxville workroom guarantying an attention to detail in every stitch.